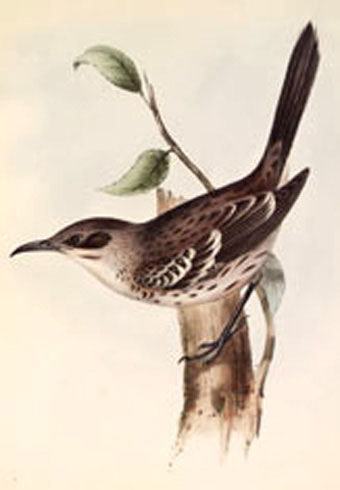 The detailed identification of the birds, and its subsequent publication, was undertaken by John Gould, curator of the Zoological Society Museum in London.2,3 This led to the discovery that different species of finch occurred on the different islands too. 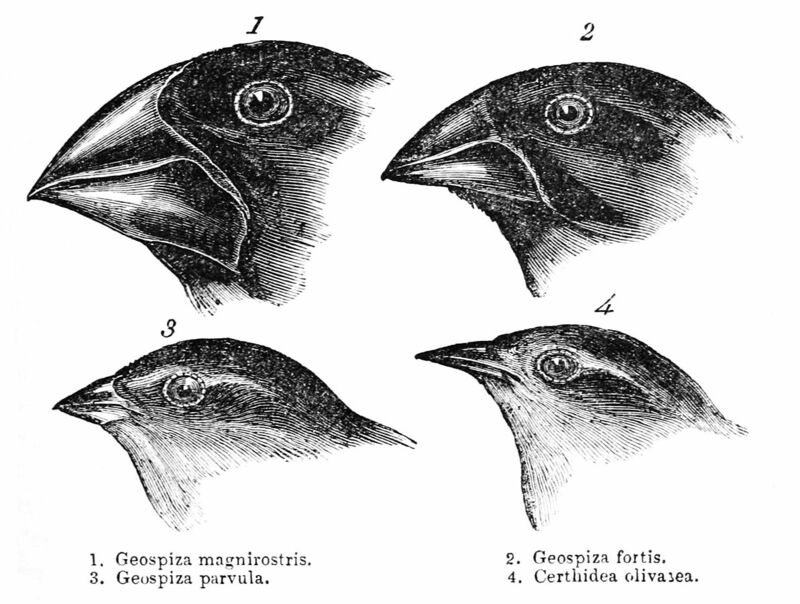 Darwin’s Finches from Galápagos Islands showing different beak forms. 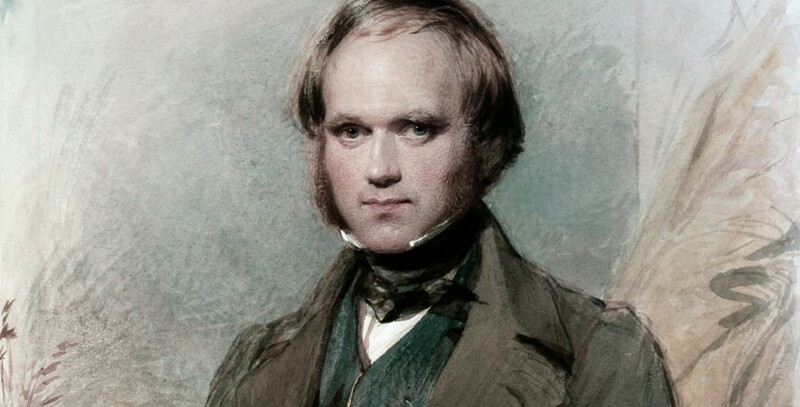 Darwin suffered considerable illness and this kept him away from the public debates on his book The Origin of Species. 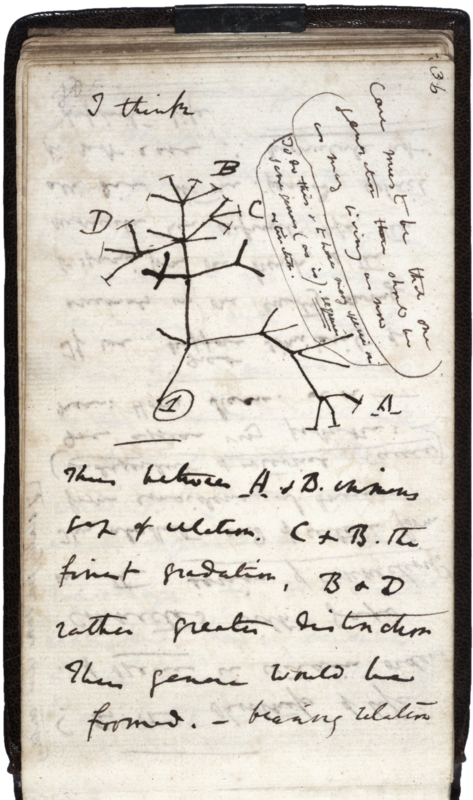 The most notorious of these was at the Oxford meeting of the British Association for the Advancement of Science, in 1860, where Thomas Huxley was the main protagonist for evolution with Samuel Wilberforce, Bishop of Oxford, opposing it. 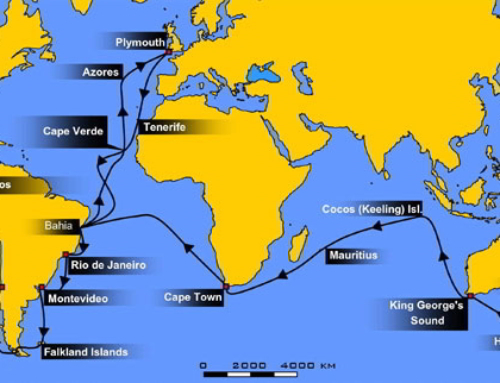 Both sides claimed victory and it was there that Thomas Huxley became known as “Darwin’s bulldog”. 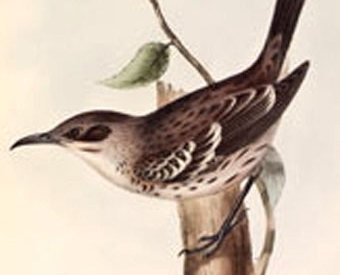 It also fell mainly to others to apply Darwin’s theory and the exhibits on the next page give some examples that followed during the next forty years. The Origin of Species was published at a time of considerable intellectual and religious challenge. In general terms the scientific community was divided between the naturalist clerics and a movement to professionalise science in which Thomas Huxley was a prime mover. The churches had seen a marked increase in evangelism only to be confronted with the German-led “higher criticism” which questioned traditional views on the authenticity and chronology of the Bible. 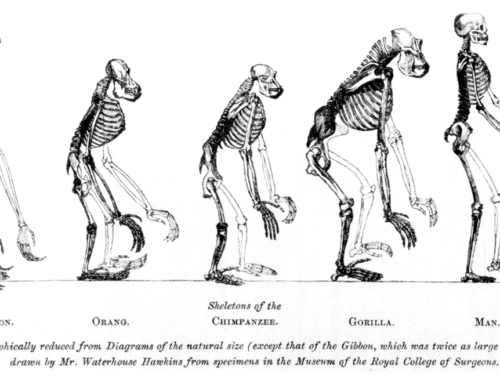 This controversy reached a peak in about 1860 in the Anglican Church and eclipsed the arguments over Darwin’s newly published book. 8 Leifchild, John R (1859), ‘Review of ‘Origin’, Athenaeum 1673 (19 November 1859), 659-660.